A Rorschach test gone wrong. A bloodstain from your pen. Your quill’s fallen comrade. Whatever that ink stain on your carpet is, if you’ve come to us, I’m certain you don’t want it there. So stick around and we’ll teach you how to get ink out of carpet. 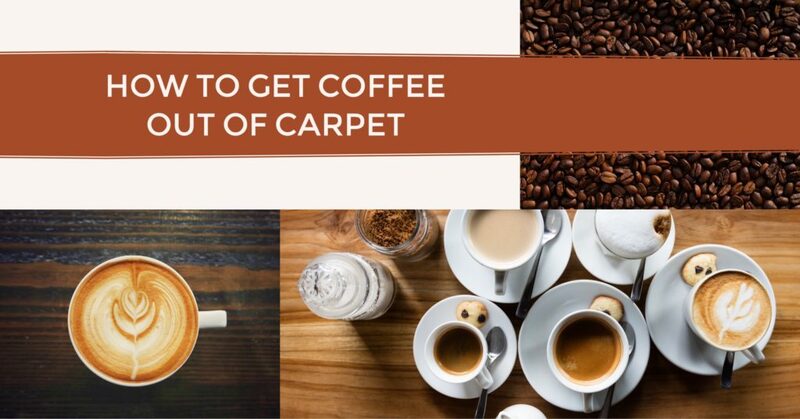 The process itself is simple, but it’s essential that you act fast to prevent the stain from soaking into the carpet or setting. So don’t spend too much time deciding whether the ink blot below looks like a spider on a tree or a man holding up a shield during a messy fight (am I crazy?). Grab your supplies and let’s get to it! Let’s learn how to get ink out of carpet. RUBBING ALCOHOL: Wet a clean cloth with rubbing alcohol and use it to blot the stain, starting at the edges and working your way inwards to prevent the stain from spreading. Continue re-wetting and blotting until the spot fades away. This will probably take 30 minutes or more. WD-40 (or another spray lubricant): Spray the lubricant onto the stain and allow it to sit for 15-20 minutes. Then, blot the stain with a sponge and soapy water to remove both the ink and the lubricant. DETERGENT: Mix about 1 cup of water with a teaspoon of dishwashing detergent, creating a soapy solution. Spray this solution onto the stain or dip a cloth into the solution and dab onto the stain. Continue blotting until the stain is removed. If the stain is small, this method should work well. HAIRSPRAY: We can’t vouch for the success of this claim, but many people believe that hairspray can help remove ink stains. It works in a similar way to alcohol, which is why we simply recommend using rubbing alcohol. But if you want to try it, spray hairspray onto the stain and allow the hairspray to sink in for 3-5 minutes. Then, apply a soapy water solution and blot up. With all of these products, we recommend that you do a test patch on an unimportant and unseen area of the carpet beforehand. Some products (especially spray lubricants) can permanently stain your carpet. Also, always remember to blot (not rub) and don’t pour a liquid product directly onto the stain (this could cause the stain to spread). After you’ve removed the stain, rinse the area with warm water to remove any residue. Blot the area with a dry cloth to remove excess water and then leave the area alone, allowing the carpet to dry. After it dries, you may need to fluff the carpet fibers up with your fingers. If your stain still hasn’t disappeared after you attempt one method, try another. And if the stain still isn’t gone after multiple attempts, call ThuroCleanCarpet&UpholsteryLLC.. You’ve learned how to get ink out of carpet and for whatever reason, it isn’t working. If you live in the Myrtle Beach area, let our professional carpet cleaners take over the job for you. This is clearly one stubborn stain! If your love of butter could rival Paula Deen’s, you’ve probably had a butter-related incident at some point in your life. And even if your affection for butter is only an ordinary, necessary attachment to all those ingredients that make your dinners delectable (salt, pepper, garlic, olive oil . . .), you might someday face a rogue pat of butter. A clumsy fall, a wild dinner party, or an unruly child might cause some butter to land on your hardwood floor or even your carpet. The horror! 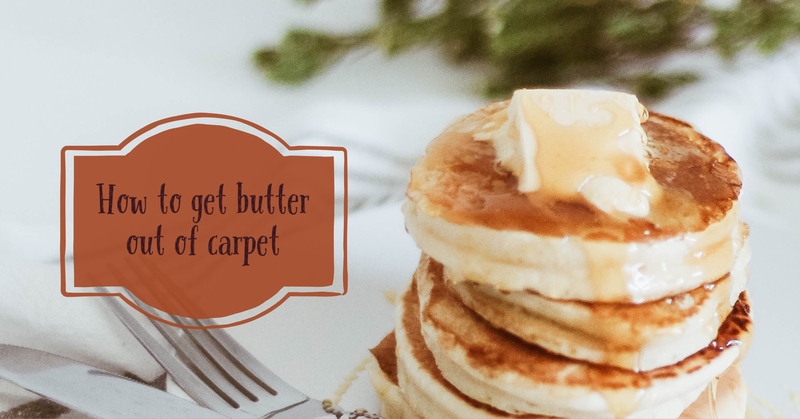 Learning how to get butter out of carpet can be frustrating—if the butter is soft, it could seep into the fibers and harden, and if the butter goes unnoticed it might be pressed down into the carpet and create a greasy mess. Luckily, we’re here to help! We’ll teach you how to get butter out of carpet. When you’re learning how to get butter out of carpet, remember to act fast. The longer you wait, the harder it will be to remove the stain. Also, if you’re using any new products, please remember to do a test patch on an unimportant area of your carpet beforehand. That way, if the product damages your carpet, you’ll be able to hide it. 1. SCRAPE. First, you need to scrape off as much of the butter as possible. Try using a butter knife, spoon, or some other tool that is gentle and blunt. 2. ABSORB. After that, lightly sprinkle the stain with an absorbent, powdery product that can soak up the excess butter. You could try baking soda or cornstarch, both of which are inexpensive and easy to find. Let this sit for 15-30 minutes and then vacuum it up. The powder should have removed some of the butter’s grease. Repeat this step if necessary. 3. CLEAN. Now, go back over the stain with a soapy mixture of dishwashing liquid and water. Quick and easy to prepare, this solution should remove the excess grease left by the butter stain. When you’re finished with this step, remember to rinse the area with water to remove the soap. Then, blot the area with a rag to absorb excess water. 4. SPONGE. If the stain persists, apply a small amount of dry-cleaning solvent with a sponge. Blot until the stain fades away. Use this product sparingly and be sure to do a test patch beforehand. You never know how the product might react with your carpet. 5. FINISH. You’ve just learned how to get butter out of carpet! If you act fast and keep these multi-functional products on hand (cornstarch, baking powder, dishwashing liquid), you should be able to quickly and easily remove any future pesky butter stains. Of course some stains are more difficult to remove than others. If your stain still isn’t gone after you’ve completed the method above, try repeating the steps a second time. And if all else fails, give your local carpet cleaning professionals a call. In the Myrtle Beach, South Carolina area, try Thuro Clean Carpet & Upholstery LLC. We would be happy to take over for you if you don’t know how to get butter out of carpet. Give us a call at 843-903-6895.
Who really wants to spend an hour tile cleaning just to feel as though it doesn’t look clean at all? Obviously, no one. That’s why we’ve come here today with a few easy to use, easy to understand tips on tile cleaning that should help you in your day to day and regular deep cleanings. The main problem with tile cleaning is getting into the grout lines. These lines are often skipped over when using a regular mop or broom, so when you do your deep cleaning or notice that the grout lines are getting kind of gross, use a groutbrush. Just spritz on a bit of cleaner and go to it. A groutbrush can fit into those thin grout lines perfectly, and it really doesn’t take as much time as you would assume. Never mop over your tiles without sweeping first. All of that dirt and grime on the floor will just get pushed around, and probably end up in your grout lines. 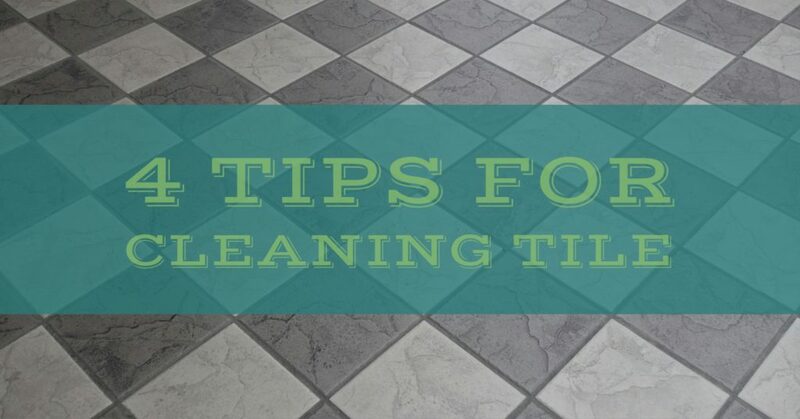 Do yourself a big favor and always start your tile cleaning off with a good sweeping. It only takes a minute, after all. If you do your tile cleaning just before bed, you can make your life a lot easier. Your floors will have time to dry completely before anyone walks on them, and you won’t have to herd any children, pets, or even other adults off the floors until then. This is an especially useful tip for anyone with children because we know just how hard it can be to keep them off the floor until it’s dry. Those were our quick tips on tile cleaning. 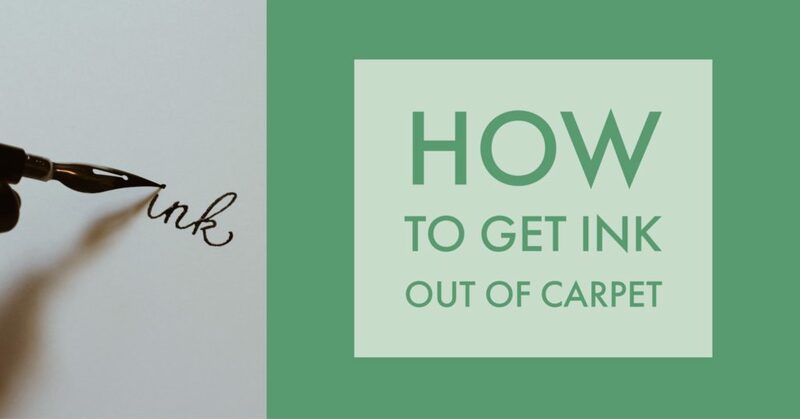 We hope that you found this tips to be helpful. If you need any more advice, have any further questions, or would like to ask about our professional tile cleaning services, please contact us at Thuro Clean Carpet & Upholstery at 843-903-6895. We look forward to your call! Many people think that they don’t need professional carpet cleaning, but most of them are, in fact, wrong. There are a great many reasons why a person should get their carpets professionally cleaned, but today we are just going to look at eight of them. If any of these eight reasons apply to you (and there is a very high chance that they do), then you might want to think about getting professional carpet cleaning for your home. 1. You have children. Children are adorable little mess-makers who track mud on your floors, spill paint, spill food, and do a number of other things that can be devastating to the overall appearance of your carpets. They also tend to make a lot more ‘foot traffic’ as they have a ton of energy. If you have children, you need professional carpet cleaning. 2. You have pets. Pets, like children, make a lot of messes. They drool, track in mud, and sometimes leave nasty little ‘surprises’ on your carpets. 3. You have tough stains in your carpets. If you have tough stains that you haven’t been able to get out of your carpets on your own, a professional carpet cleaning service can help you to get them out. They have specialized equipment that can make what you see as impossible, very possible indeed. 4. You are hosting a big event. If you are hosting a big event, chances are high that you want your entire house to look perfect. This includes your carpets, of course. If you want to really impress your guests, get your carpets cleaned a day or two before the big event. 5. You haven’t had professional carpet cleaning done in a year or more. It is recommended that you get your carpets professionally cleaned at least once a year, with additional cleanings in between as necessary. 6. You have a lot of people in and out of your house. If your house is the central hub for everything, or if you have a large amount of people who are in and out of your home on a regular basis, you will definitely need to have your carpets professionally cleaned. The more people who travel through your house, the more dirt that is put into and onto your carpets. It’s as simple as that. 7. You want your carpets to look new again. This is a rather obvious reason to get your carpets cleaned. 8. You want your carpets to be easier to maintain on a day-to-day basis. Carpets that have been professionally cleaned will be easier to upkeep for some time after as well. So there you have it! 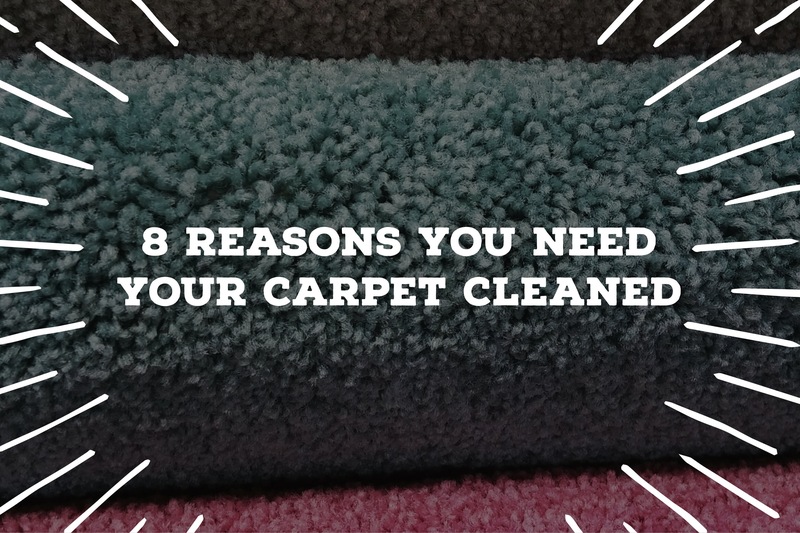 Those are eight reasons why you probably need to have your carpets professionally cleaned. If you’ve decided that you need your carpets professionally cleaned after all, or even if you just have some questions, please contact us at Thuro Clean Carpet & Upholstery LLC. at 843-903-6895. We provide professional carpet cleaning in Myrtle Beach and can help you with anything you may need. Halloween is here! That means ghosts, ghouls, goblins, creepy critters, and of course, lots and lots of candy. Chocolate candy is one of the most popular treats handed out and enjoyed throughout the Halloween season and with trick or treating in full swing in Waukesha, there is sure to be a few pieces in your home, especially if you have children in your house. 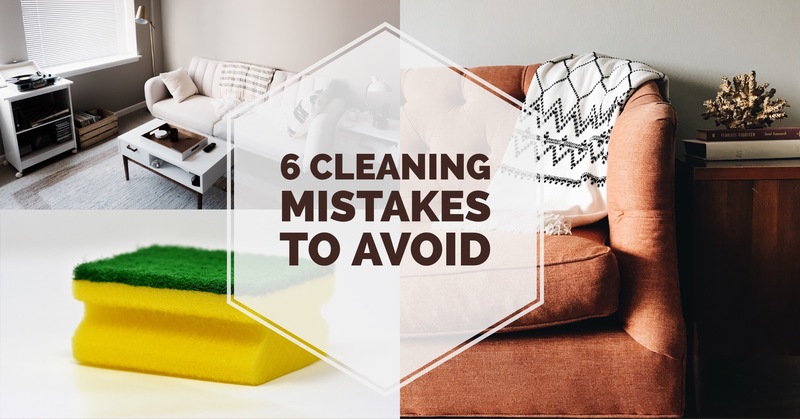 Before you can try to remove the chocolate stain from the carpet, you will need to scoop up and scrape away any of the excess solid chocolate sitting on top of the stain. Try not to scrape or rub too hard, as you don’t want the excess to press into the stain. Once you have removed all the excess chocolate from around the stain, you should blot the stain on your carpet with only water and a white cloth. Try to avoid using a colored cloth or one with a lot of patterns or decorations so that none of that dye or printing soaks into the stain. Perhaps most important is to be sure not to scrub the stain. Instead of scrubbing, blot the stain gently, pushing your fingertips into the cloth and working around the edge of the stain before focusing on the center. Check the white cloth every few seconds to get an idea of just how much of the stain you are soaking up out of the carpet. 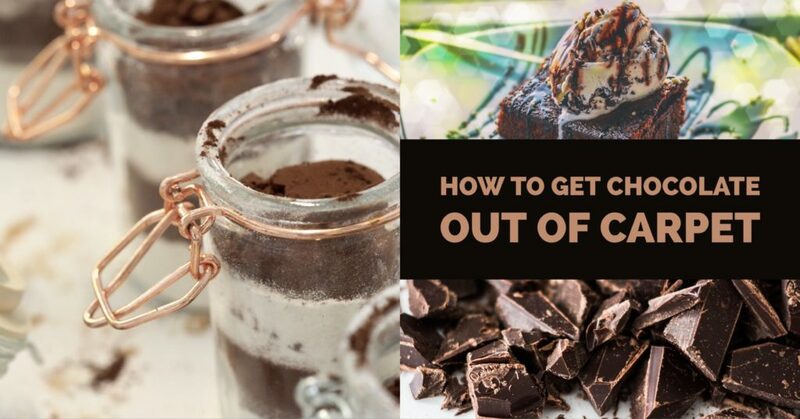 If the cloth is absorbing a lot of the chocolate stain, then there is a chance that you can avoid using any kind of cleaner or solution and successfully remove the chocolate with just water. If there is still some chocolate remaining, you will want to move forward. If you aren’t having success with the cloth and water, you will want to use some household liquid dish soap. Mix a ¼ teaspoon of the dish soap into a bowl of water and create a mild, soapy solution. Next repeat the same blotting process as before. The detergent should be able to pull the remaining chocolate from the carpet, since soap acts as a magnet for dirt and debris. 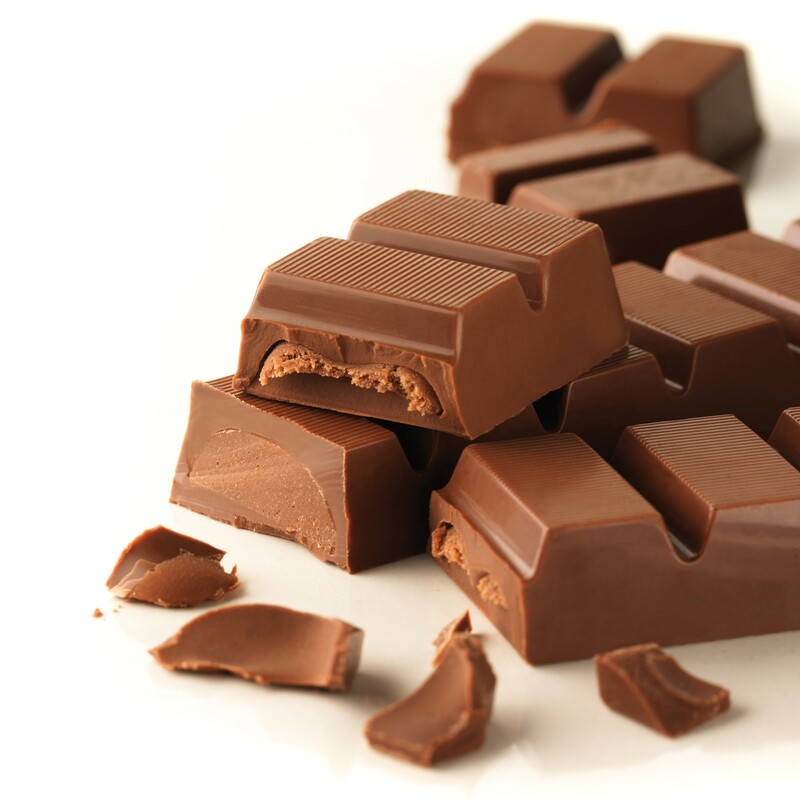 Once you have removed the chocolate stain, be sure to get another cloth with just water on it to absorb any soap you might have left behind. It’s very important to never leave soap in carpet or upholstery as it will attract surrounding dirt and create a different stain. 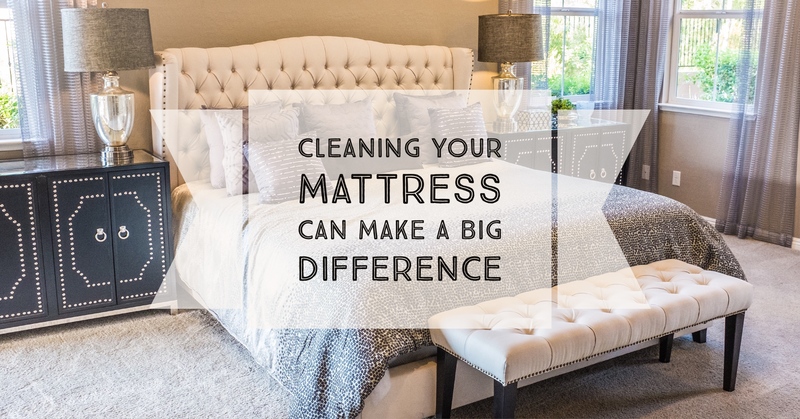 How Can Having A Mattress Cleaning Make A Difference? Of all the things that need to be done around the house, mattress cleaning is often the one that is overlooked. Homeowners are usually willing to overlook stains and discoloration if the bed is covered with sheets and comforters, but stains are not the only problem to be concerned with. Every night, the average person produces about half a liter of sweat. This, along with thousands of skin cells, is deposited on the bed, where it will remain for a long time. This provides the optimum breeding environment for microscopic pests like dust mites or bacteria. In fact, many allergies, headaches and respiratory illnesses can be traced back to a soiled bed. Dust mites produce feces that are a common allergen in humans when inhaled. Bacteria and fungal spores can also trigger an immune response when taken into the body. Even worse, these pests have no natural enemies in their environment, so they reproduce at alarmingly quick rates. It’s not uncommon for a bed to harbor more than a million dust mites. In some cases, the sheer amount of dust mites can be enough to increase the weight of the bed. Deep mattress cleaning can eliminate these pests and the problems they cause. Thorough maintenance can also eliminate stains and odors caused by spills, chemicals or organic soiling. Technology in this field has improved greatly in recent years. Technicians are now capable of eliminating more than 95 percent of dust mites and their waste material in a single treatment. This is particularly helpful during the holiday season, when family members of all ages and sensitivities gather in a single home. Family members who stay the night will need a place to sleep, and if they have bad allergies or a compromised immune system, they may be rendered sick by dust mites or other pathogens. Children and the elderly are often at extra risk because their immune systems aren’t as robust. By neglecting bed maintenance, a homeowner is allowing dust mites, bacteria and fungal spores to affect their health and the health of their loved ones. Professional treatment stops this in its tracks, while also restoring the look and comfortable feel of the bed. There are many businesses that offer this service, but homeowners should only consider those that are thoroughly trained. The holidays should be spent enjoying the company of family and friends, not dealing with allergies or illness. Calling Thuro Clean Carpet & Upholstery to treat the home’s beds can ensure that dust mites don’t wreck the party. Mamma mia—there goes the pasta! If you have children, you’ve probably seen at least one incident of flying spaghetti, and even mature adults sometimes spill a bit of their marinara. 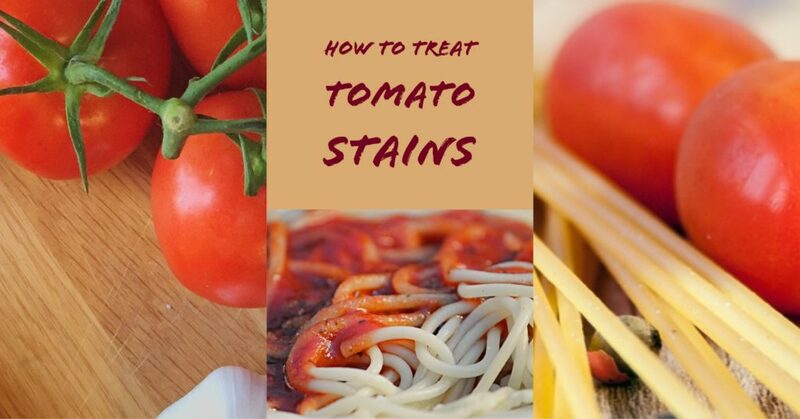 Like wine and grape juice, tomato sauce is known as one of the most fearsome carpet stains, but it doesn’t have to be! Learning how to remove a tomato sauce stain from carpet is simple as long as you follow two important rules: act fast and blot (don’t rub). It’s also a good idea to keep some basic cleaning products on hand (dishwashing detergent, ammonia, hydrogen peroxide, club soda), just in case some pizza sauce goes flying or your daughter spills her bowl of penne. The longer you wait, the more the sauce will cling to the carpet fibers, so eliminating a trip to the store for cleaning supplies will really help. Now let’s learn how to remove a tomato sauce stain from carpet! First you’ll need to remove any excess sauce. A spoon or knife works well for this. Use whichever utensil you prefer to scoop or scrape off the extra tomato sauce. Start at the outer edges and work your way in so that you don’t spread the stain out further. Then, apply club soda or cold water to the stain. You could sprinkle on a little (taking care not to soak the carpet) or use a clean sponge. Blot up as much of the stain as possible with a damp sponge. Then, use a dry paper towel to blot up and dry the area. After that, mix about a tablespoon of liquid dish detergent to two cups of cool water. Using a clean sponge or cloth, blot and gently stroke the stain with the detergent solution. Rinse afterward with cold water. The stain might have disappeared by this point. If so, fantastic! Dry the spot thoroughly and rejoice. If not, carry on with step #5 . . . Mix 1 tablespoon of ammonia with 1/2 cup cool water (Warning: Be careful with ammonia. Use gloves. Never mix it with chlorine bleach. Do a test patch before applying to your carpet because it can bleach darker colors). Apply the ammonia solution to the stain and blot up. Don’t soak the carpet. Rinse afterward with cold water and blot up the excess liquid with a paper towel. If the stain isn’t gone after the ammonia solution, create a hydrogen peroxide mixture with 1 tablespoon hydrogen peroxide and 3 tablespoons cold water. (Warning: Be careful with hydrogen peroxide. Use gloves. Do a test patch before applying to your carpet because it can bleach darker colors). Apply the mixture, cover with a towel (to block out light), and let sit for 30 minutes. Check on it every 5 minutes or so, to be sure the color of the carpet isn’t changing. Rinse with cold water afterward and blot up any excess liquid. If your stain still hasn’t disappeared after all of that, call Thuro Clean Carpet & Upholstery LLC. You’ve learned how to remove a tomato sauce stain from carpet and for whatever reason, it isn’t working. If you live in the Myrtle Beach area, let our professional carpet cleaners take over the job for you. This is clearly one stubborn stain! 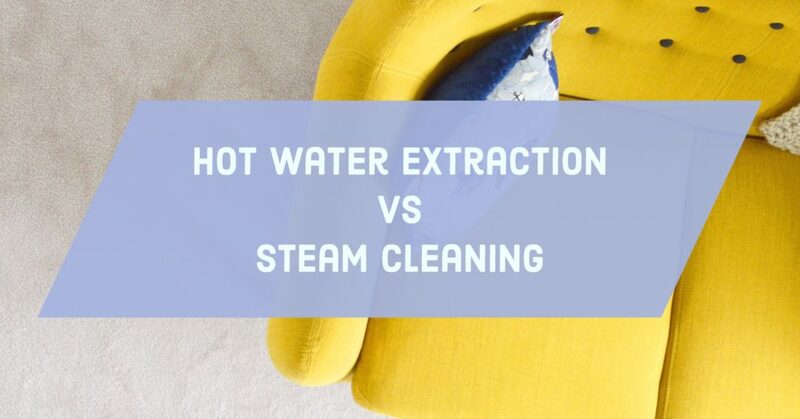 Hot water extraction vs steam cleaning. Do you know the difference? The fact is, most people refer to hot water extraction as steam cleaning when in actuality, they are two entirely different cleaning processes. Each method uses a different temperature of water and sometimes different cleaning solutions as well. So before you clean your carpet or try to treat a nasty stain, read on to learn more about hot water extraction vs steaming cleaning. The primary difference between hot water extraction vs steam cleaning is the temperature of the water used. It’s basic science, really. For a carpet to be steam cleaned, it must actually use steam. I know—who would have guessed? The water must reach a temperature high enough to transform into a gas. However, applying pure steam to carpet will not be effective in rinsing. Hot water extraction, on the other hand, only requires hot water. How hot? Hot enough that it cleans deeply and effectively, but not so hot that it changes into another state of matter. Most carpet manufacturers recommend that their products be cleaned with hot water extraction. Natural fibers are cleaned with hot water extraction to prevent shrinkage, as is upholstery. It can be used to treat stains as well, unlike steam cleaning, which is avoided because it can actually set stains permanently. Steam cleaning is often used with synthetic carpet, and some people believe the higher level of heat will improve the cleanliness of their carpet. However, homeowners should beware of renting or buying products like extractors and steamers to use at home. Inexperience and subpar equipment could lead to soaking of your carpet and a large amount of detergent residue, while inadequate ventilation could cause mold growth. If you use a professional cleaner, the hot water extraction method will work well if they avoid high levels of detergent and detergent residue, which attracts dirt and can quickly make your carpet dirty again. This is ideal if you or your family are concerned about exposure to volatile chemical compounds. Professionals will also make sure that most of the water sprayed on the carpet is removed. The process doesn’t take long and usually involves four simple steps. They’ll start with an inspection of the area, then they’ll apply an emulsifier or detergent, next they will rinse the carpet clean with water, and finally they will vacuum out nearly all of the water. Within a couple of hours, your carpet will be dry again and ready for use. So hot water extraction vs steam cleaning: which is best? The titles have become so jumbled that it’s hard to say, but hot water extraction is essentially superior. With pure steam, there is no “rinsing” of the fibers, which is necessary to remove soil and cleaning detergents. The most important thing to note is that within the carpet industry, hot water extraction is increasingly being referred to as “steam cleaning.” If you’re confused as to which service a company offers, just ask, but it’s very likely that they use hot water extraction under the name steam cleaning. While most professional carpet cleaners use water hot enough to visibly produce steam, there is still hot water rinsing and flushing the carpet fibers. Not pure steam.